Russia has jumped to 3rd place in medal count following impressive performances in the men’s skeleton and short track skating. 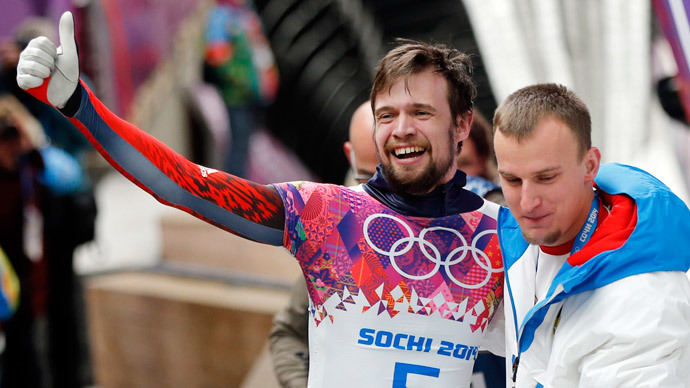 Poland has also grabbed two golds and is now top 10 in the current Sochi Olympics standings. Alexander Tretiakov has won the men’s skeleton event claiming the first-ever gold for Russia in the sport’s history, while Russian speed skater Victor An won a short track gold medal in men’s 1,000m event, clocking a time of 1:24.102. Poland was also triumphant in Sochi on Saturday with Zbigniew Brodka winning the men's 1500m long track speed skating gold as his comrade Kamil Stoch won a gold medal in the men’s large hill ski jump. Meantime in one of the Games’ most anticipated matches, the US defeated the hosts 3:2 in an extended penalty shootout.